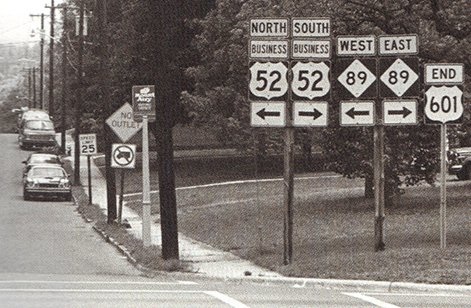 US 601 was one of the original 1926 routes, essentially running along what is now the US 52 corridor. 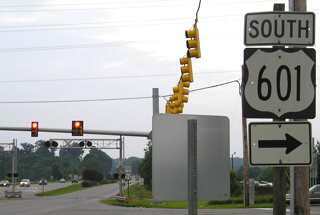 With a south terminus in Florence, initially US 601 was an intra-state route, going only about 40 miles north, to Cheraw. (Note that neither Florence nor Cheraw is served by US 601 today; an explanation for that will follow). 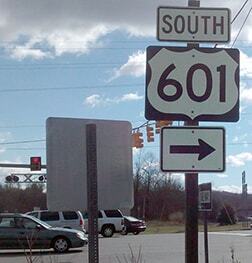 Towards its north end, US 601 joined its parent route (US 1) a few miles south of town. 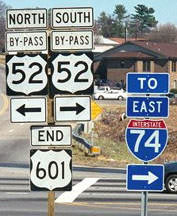 However, at the time, neither US 1 nor US 601 followed the current alignments of US 1 or US 52. Originally US 1 ran through what is now Cheraw State Park, then along Old Cash Road. That curves to become 2nd Street in town, but the original bridge over the Pee Dee River was not on Powe Street (as today), but rather on Church Street. 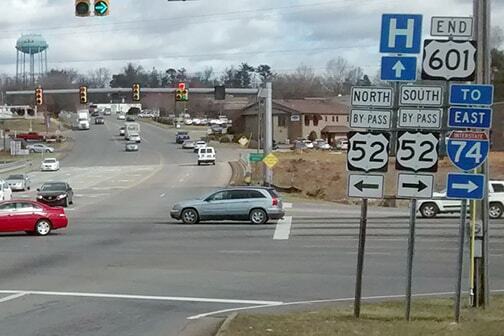 US 601 came in from the south on what is now Macedonia Church Road and Juniper Road. 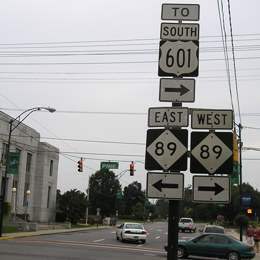 US 601 could have ended at its junction with US 1 (Juniper at Old Cash), but it is just as likely that the two routes would have been dual-signed, with US 601 ending in Cheraw proper. 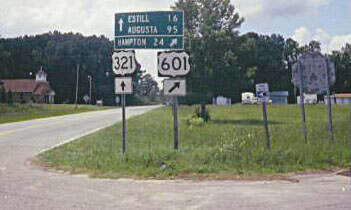 In 1951, US 601 was extended south from Salisbury along its modern route, returning to South Carolina. Where it reached US 321 south of Pineland, the two highways were overlapped down to a common terminus at US 17 in Hardeeville.